An update is out for 259 Clinton Street, one of the skyscrapers planned to rise by One Manhattan Square. A Draft Environmental Impact Statement (DEIS) has been published, revealing fresh details of the three proposed Lower East Side towers that include 247 Cherry Street and 260 South Street, and a new rendering for 259 Clinton Street. Perkins Eastman is responsible for the architecture. 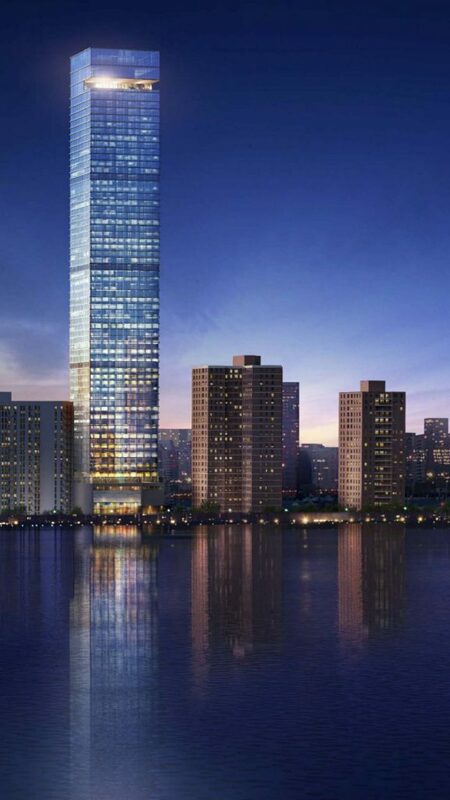 The new rendering for 259 Clinton Street is not a particularly exciting design. Its curtain wall glass and rectilinear exterior could even fuel additional local distaste, but would ultimately create necessary new homes. 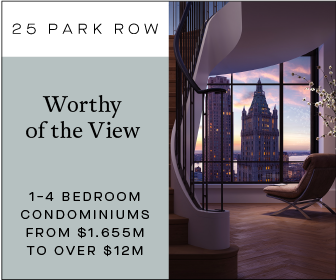 The most distinctive design element is a half-floor loggia-terrace up top, likely accessible for all residents. 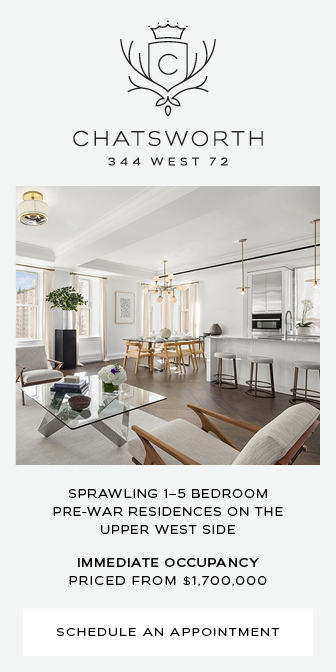 Close illustrations of the building’s base show a stone material visually dividing ground floor retail from the residential floors. 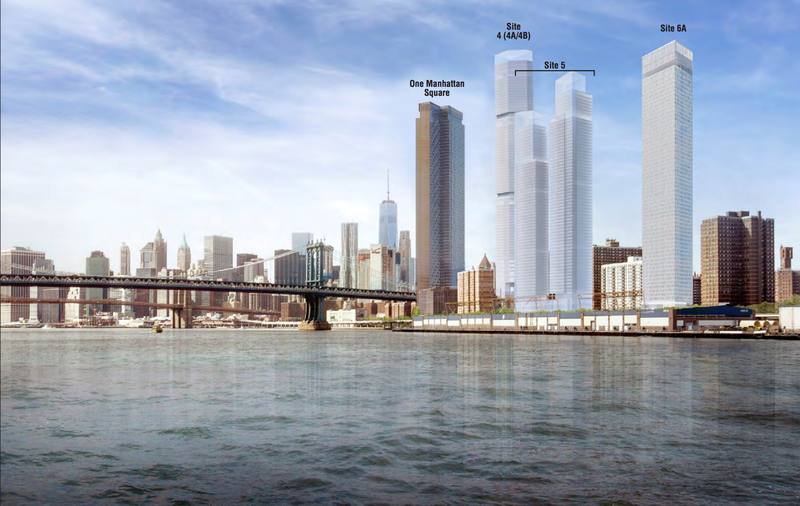 The three buildings, labeled 4, 5, and 6a, will all be separate developments. Site 4, i.e. 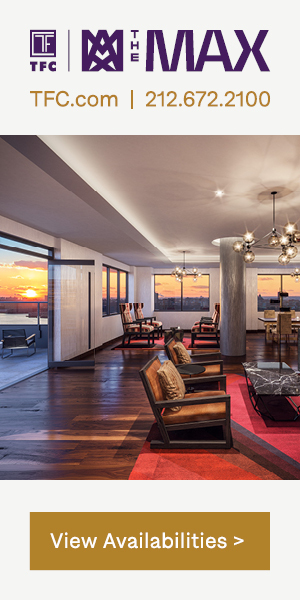 247 Cherry, is being developed by an LLC affiliated with JDS Development Group. Site 5, i.e. 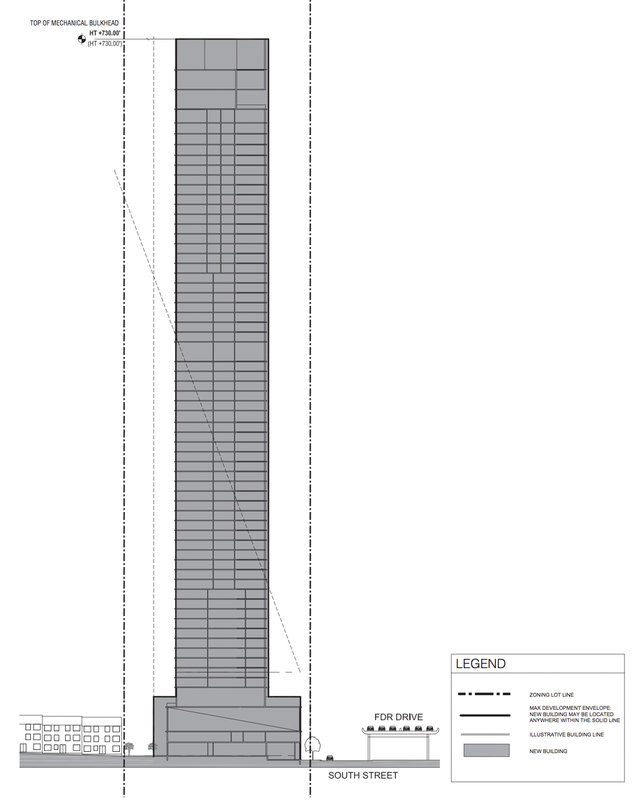 260 South Street, is a joint venture between CIM Group and L+M Development Partners named Two Bridges Associates. Site 6A, i.e. 259 Clinton Street, will be developed by The Starrett Corporation. 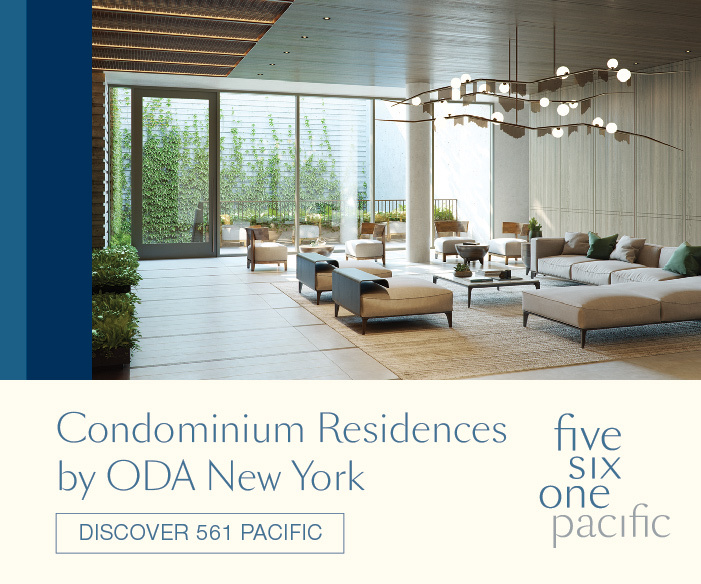 The combined developments are expected to yield 2.5 million square feet of new residential space, 10,890 square feet across six retail spots, and 17,000 square feet for community facility use. 2,775 new units will be created, 694 of which will be permanently affordable. 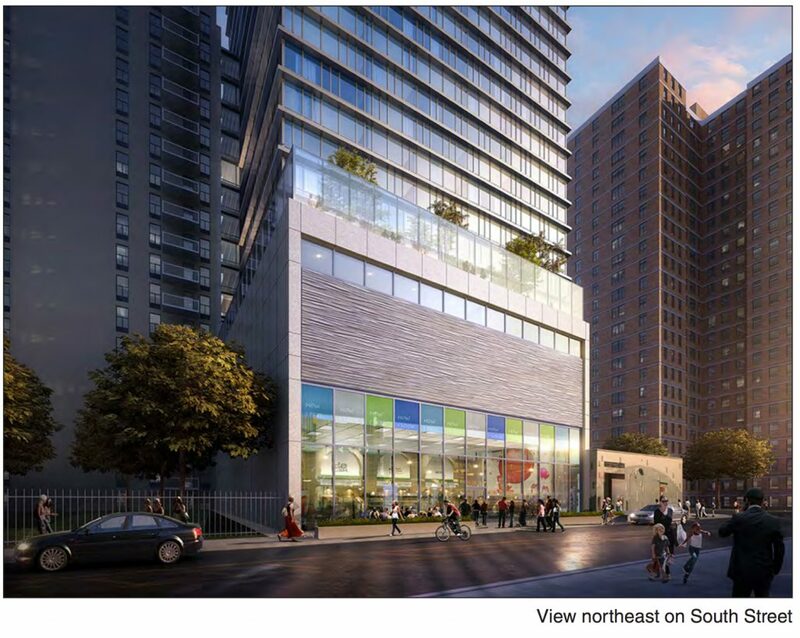 Of the affordable units, 200 will be dedicated to low-income senior housing. 22,780 square feet of public space will also be included. 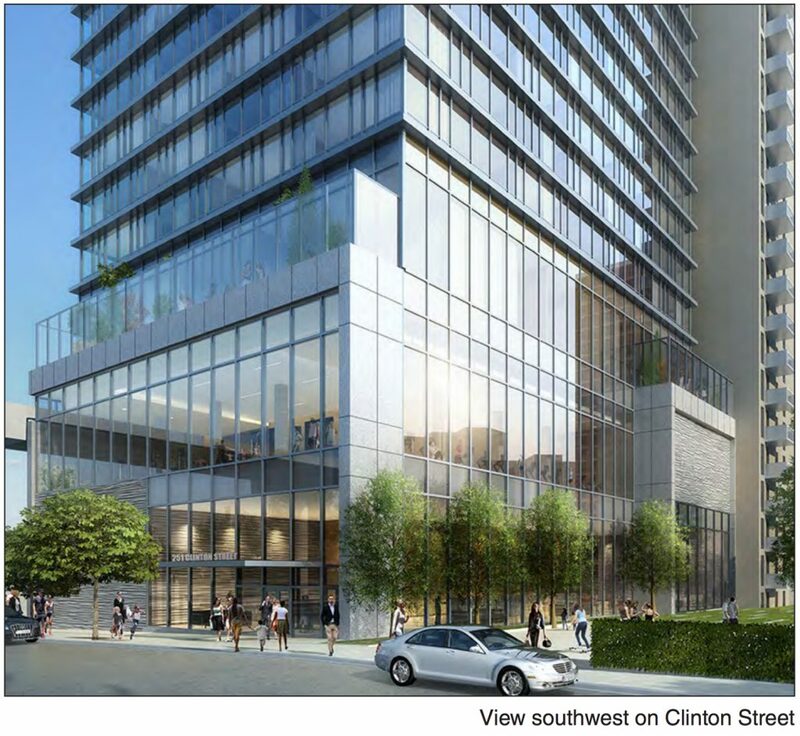 259 Clinton Street has grown, with the latest review showing plans to rise 730 feet and create 765 units, with 191 sold as permanently affordable, of which 100 units will be for low-income senior housing. 3,200 square feet of public space will be created. 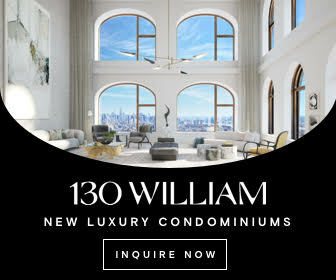 Permits remain to be filed for the buildings, so Extell’s One Manhattan Square will stand alone for a while, just as the firm’s One57 did by Central Park, before the completion of 432 Park Avenue. Construction of all three proposals is expected to start in a single phase lasting 30-36 months. Completion is expected by 2021. 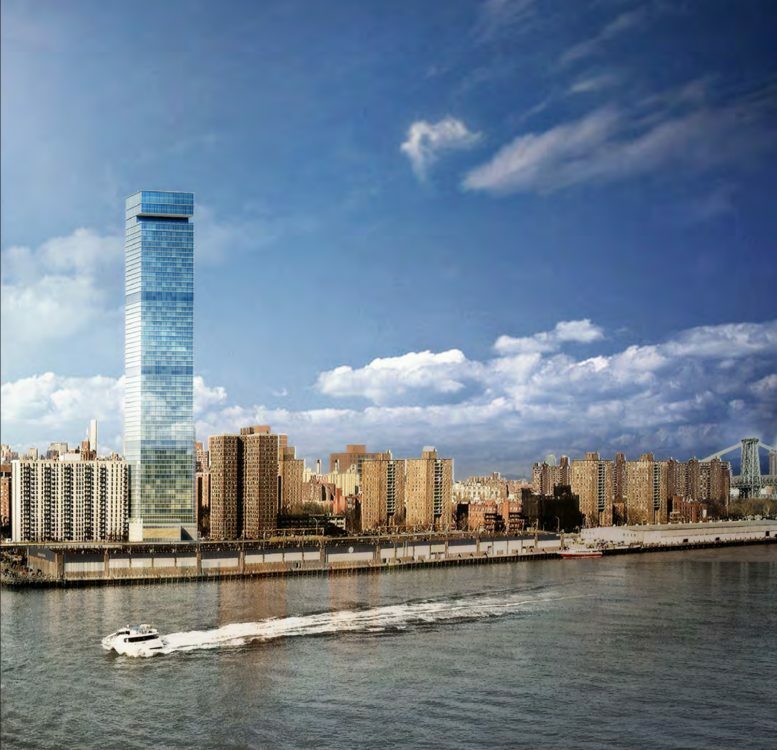 5 Comments on "New Rendering Revealed for The Lower East Side’s Next Skyscraper at 259 Clinton Street"
Please pardon me for using your space: I can’t conceal my feelings to its design. – The best way. Wow, what an inspiring design – a rectangular glass box! The architects should be proud! The people who park their money in these units don’t care what the buildings look like, so we should expect nothing better. This is the price of corruption and money laundering. One word….RIDICULOUS. 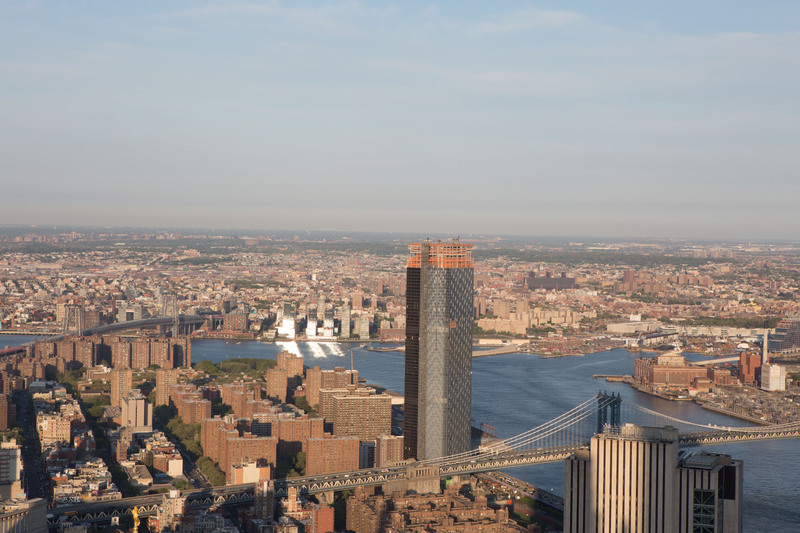 And they plan to build more and higher.SMH My poor Lower East Side…..I knew you when…..